In order to strengthen the AMG portfolio further, Mercedes-Benz, top luxury car maker in India is now introducing the latest AMG car in India. Mercedes AMG S 63 is going to be the ninth AMG model to be introduced in India, the exclusive and luxurious Mercedes-AMG S 63 Sedan is now fully set to be launched in India. When a prestige of a luxury sedan is combined with the performance of a sports car you would see the birth of a powerful car like no other – The Mercedes-AMG S 63. Block your date to witness the India debut of this powerful beauty! quotes Mercedes-Benz in one their media invitation sent to GaadiKey. The all new Mercedes-AMG S 63 not only expands the flagship S-Class’ range further, but also redefines luxury in the AMG segment. This stunningly beautiful and exclusive sedan adorned with the latest ‘designo’ platform would make its India debut in Bangalore on 11th August. Mr Eberhard Kern who is the Managing Director and CEO of Mercedes-Benz would be launching the car at a press conference here in Bangalore. 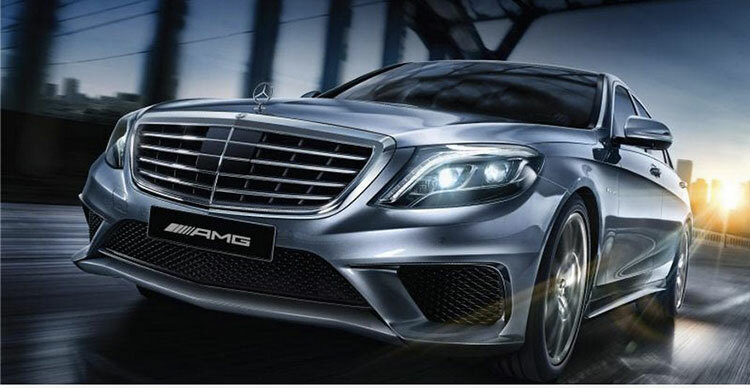 The launch of new Mercedes AMG S 63 Sedan also marks the Mercedes-Benz’s 10th launch in the year 2015.